How can a very common food like fried chicken become a staple in Pinoy family's table these days? Or better yet, how could a fried chicken remains Pinoy's favorite despite the evolving genre of its generations, so much that they even call it "chickenjoy"? Today, with the wave of exciting technological innovations and new apps, people are becoming more preoccupied with their gadgets. Whether it means replying to important work emails, keeping attuned to the latest updates on social media, or fighting off and catching virtual monsters, this new normal of being glued to our screens has kept us from experiencing important and joyous face-to-face moments with family members and loved ones. 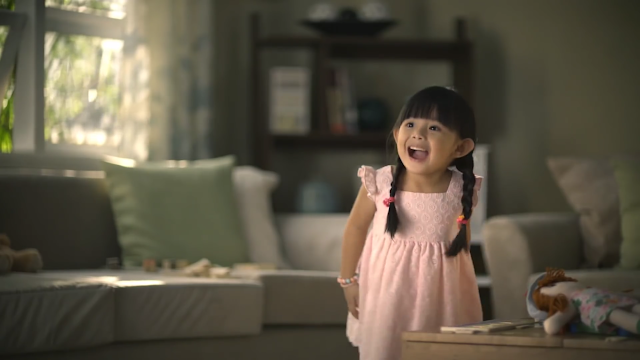 The TVC gives viewers a glimpse of a typical modern Pinoy family’s day. In the video, the youngest daughter—the adorable bunso—wants to play and spend time with her father and siblings. However, Ate and Kuya are busy updating social media accounts and playing games, while Dad is in the middle of an important work call. Watch the adorable video directly from Jollibee’s Facebook page.